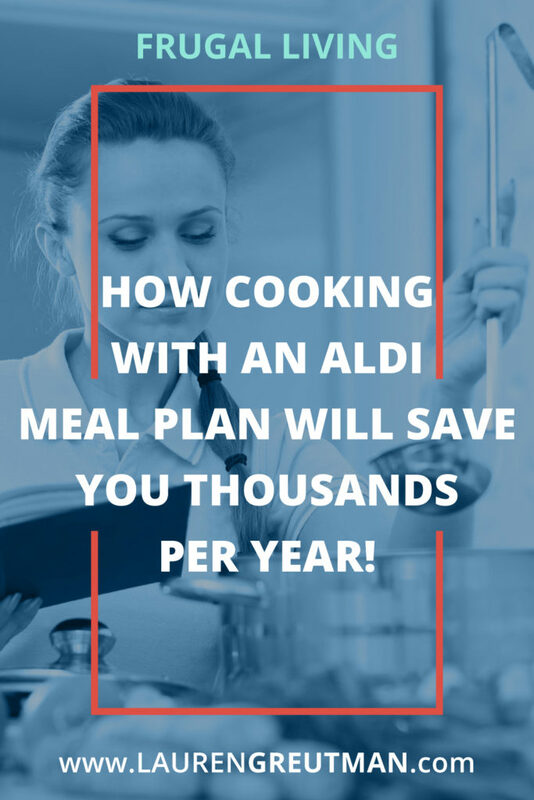 How cooking with an ALDI Meal Plan will Save you Thousands per year! The creation of the ALDI meal plan really started when my husband and I were in $40,000 of debt and we were running at a $1,000 deficit each month. Something needed to change . The fastest way to cut down our deficit and see immediate results was at the grocery store. I started shopping deals, clipping coupons, and taking advantage of stock-up sales. With ALDI, it's like everything is always on sale! I started wondering Why is Aldi so cheap? Once I became an ALDI convert and was saving big bucks, I still needed to save time. Thus, the ALDI Meal Plan was born. My husband and I created our first ALDI Meal Plan just for us. We were trying to cut bills, time, and stress for ourselves. However, it didn't take us long to realize that these meal plans could help more people than just us. It also gave us drive to improve them, make them easier to understand and come up with more and more awesome recipes that actually taste good in a crockpot. A Freezer Cooking Dump Recipes Plan is the only way I know of to make 20 dinners in under 3 hours for $165. Yup. You read that right. 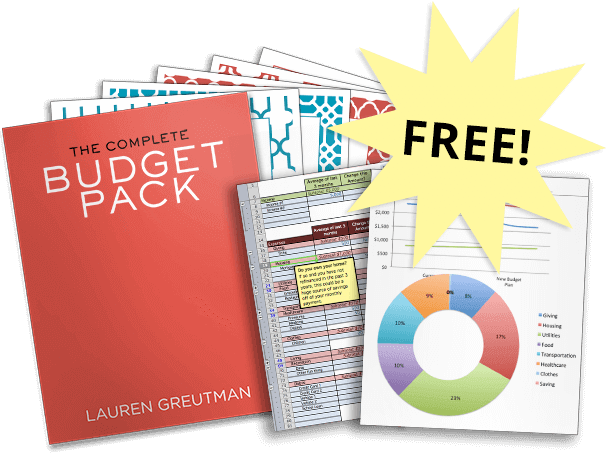 I can't imagine anything that will reduce your grocery bill, time, or stress more than that. If you're still on the fence, you can try a FREE mini Aldi Meal Plan and see what all the buzz is about. Freezer cooking is making meals or putting recipes together with the purpose of freezing for later. You make them to cook at a different time. Go ahead. Thank “you of the past” for doing all the work beforehand. The Crockpot (or slow cooker) is freezer cooking's best friend. They can make magic together. But here's the thing – with Freezer cooking, you can't just make and freeze any ole' recipe. The freezer can do strange things to certain ingredients. Not only that, not every recipe works in a crockpot. The crockpot can destroy a meal if it wasn't made with slow cooking in mind. But Freezer Cooking and using the crockpot are both so darn convenient, that I just had to make them work in my favor. We are also loving the Instant Pot – check out my Instant Pot Review to learn more about this fantastic kitchen tool! Here's what's awesome about these ALDI Meal Plan recipes – I've worked all the kinks out of freezer cooking and crockpot cooking. There's no guess-work left for you. I already made all the mistakes myself and fixed them for you! I really like your meal plans from The Aldo store. Any thoughts of creating one just for diabetics with low carbs and low sugar? That would be greatly appreciated by so many of us! Thanks for all you do and share. I replaced my crockpot with an Instant Po recently (which I LOVE!). Are these easily converted to for use in Instant Pot? Hi Kelly! YES – just about all of them can be used in the Instant Pot. In fact, since we got our Instant Pot a couple months ago, I don’t think I’ve used my Slow Cooker a single time. Here are some tips on how to use the Instant Pot, including how to convert slow cooker recipes to Instant Pot Recipes. I kept meaning to ask you to convert these recipes to be instantpot friendly but never got around to it. Thanks for reading my mind lol. What are those stand things you’re using to keep the zip bags open?? Hi Sarah – you can get them HERE. Do your books include how to convert from slow cooker to IP? I would like a complete library of freezer meal planning that I can convert to my IP. Not yet… but it’s in the works. Do your meal plans have vegetarian or vegan options? I’m looking for vegan options also! same here, i would love plant based/vegan too! Hey Jill – the Gourmet meal plan, and meal plan #4 are the best ones. Gluten-free here. Which collection would be best for me? (No bread, bread crumbs, pasta, condensed cream soup.) I don’t mind buying a book with a few gluten-containing recipes, as long as most recipes are safe for me. Kaye, there are gluten free adaptions in each of them. Is there a way to dee which meals are in each cookbook before you purchase? Can’t wait for the diabetic cook book, also a weight loss one! From this onward, I will follow those rules stated above. Is it hard when you started the Aldi Meal Plan? Just curious about it! Thanks! And what can you suggest? We are a family of 5 and my kids rarely eat meats and vegetables. They really hate it! Hi! I purchased your 20 Slow Cooker Freezer Meals #4 and just assembled all the meals a couple days ago. Thank you for the amazing organization of this!! I went to a freezer meal making party a couple of years ago and we did each recipe one at a time. Your way makes SO much more sense! Tonight, I made the Chicken Parmesan Casserole for my family. My three-year-old and five-year-old generally refuse to eat anything new, but they both ate their dinner tonight and asked for more! I think they especially loved the bread crumb topping. One thing I noticed, however, is that the chicken was ready in half the time (I put it on high so it would be ready in four hours as directed but it was ready after only two hours). I think the reason is that my crockpot must be larger than the one you use. What size crockpot did you use to make these meals? How do I found out what recipes are in each plan? I’m a pretty picky eater, so I want to know how many of each one I think I’d actually eat before buying a plan. Any new recipes or plans coming out? I just wanted to say that I purchased the Comfort Food meal plan a couple of weeks ago and assembled it that weekend — the only one I didn’t make was the chili because I always make Cincinnati chili ;-). Anyway, we’ve now eaten 5 of the meals from the plan and I have to say they have been consistently YUMMY and we are VERY pleased with this purchase. Not only the delicious recipes, but how easy it was to put it all together, and of course just dumping them into the crockpot & letting it cook — SO EASY! FYI, I do have an Aldi nearby (in California, in the High Desert north east of Los Angeles) and bought everything there and then compared my prices to yours. Some of my purchases were lower cost than yours, and some were more expensive, but it averaged out to about the same. Hi! I love your meal plans, I bought all 4 of the ones that you have available. I’ve seen other ones, such as the grilling one or the one with a holiday meal, but I can’t find all of them. Are they still available to print out? I’m hoping they are because the ones I have make my life so much easier. I forgot to ask – when doing the vegetables for the freezer, do you blanch them?